Champion Sweatshirt is 50% cotton / 50% polyester. Left chest is Twill logo "R" over Rose-Hulman over Institute of Technology. 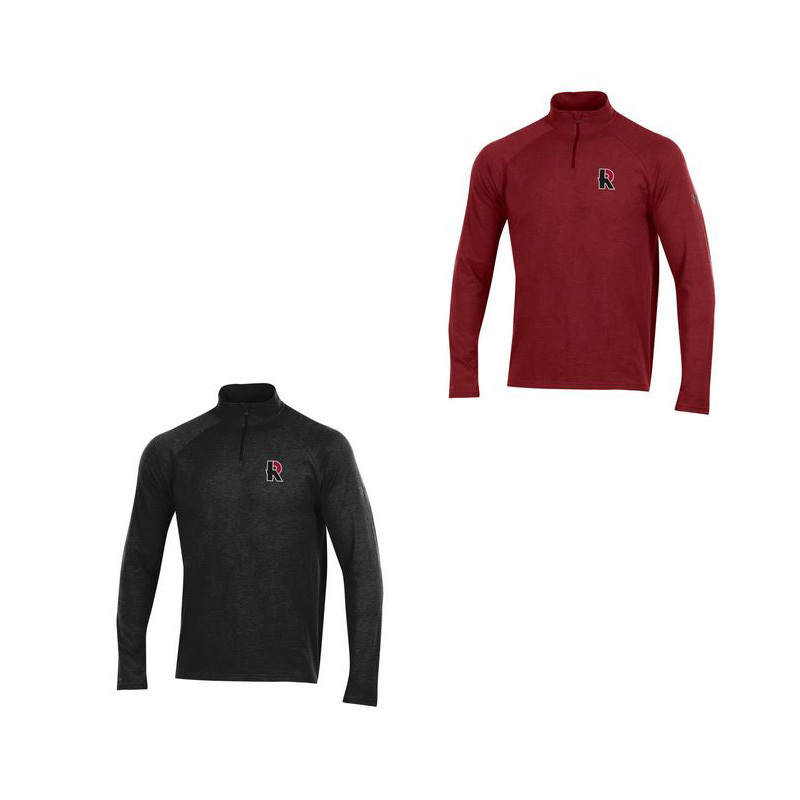 Please select option for 1/4 Zip Sweatshirt Cardinal, Charcoal, Black or Gray. Ribbed material is 80% cotton / 20% rayon. Detail include side pockets, self fabric cuffs and waistband. Please select option for Camp David Textured Quarter Zip Pullover. 86% polyester 14% spandex. 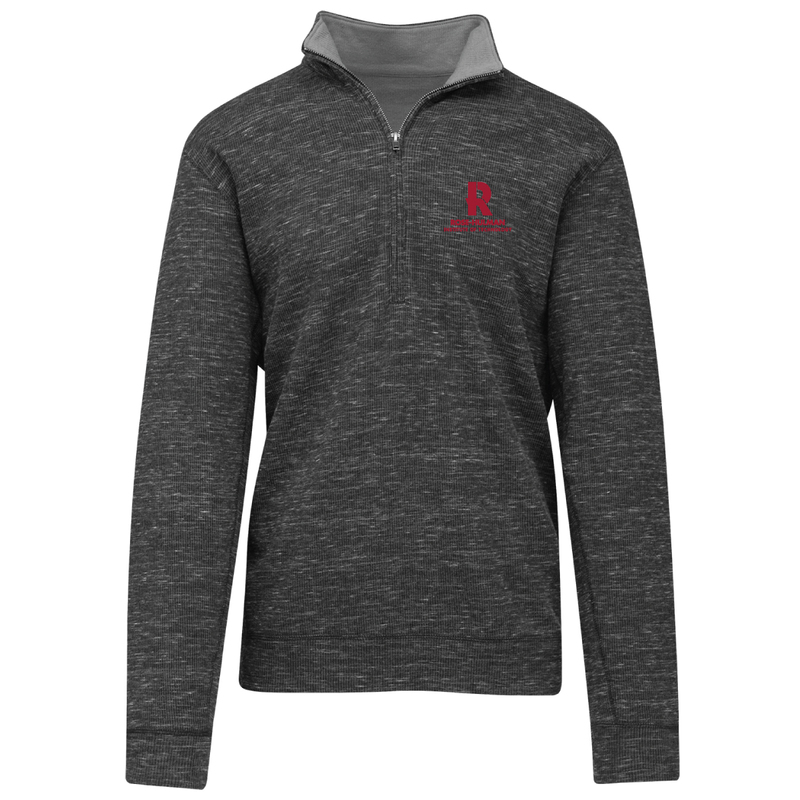 Embroidery of "Rose-Hulman" over "Institute of Technology"
Please select option for CI 1/2 Zip Ladies Sweatshirt. 86% polyester, 14% spandex. 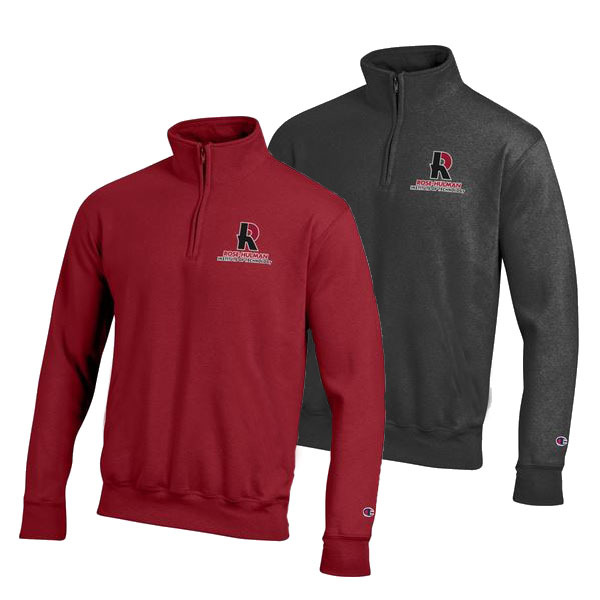 Embroidery of "Rose-Hulman" over "Institute of Technology"
Please select option for CI 1/4 Zip Sweatshirt. 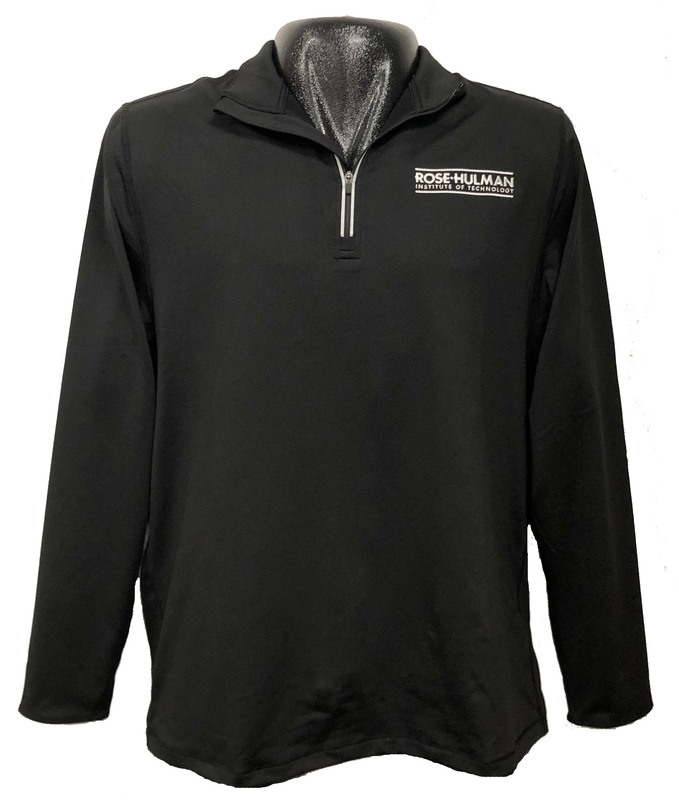 Gear charcoal 1/4 zip sweatshirt. 80% cotton / 20% polyester. Embroidered Two-tone "R" over "Rose-Hulman" over "Institute of Technology" embroidered on left chest. 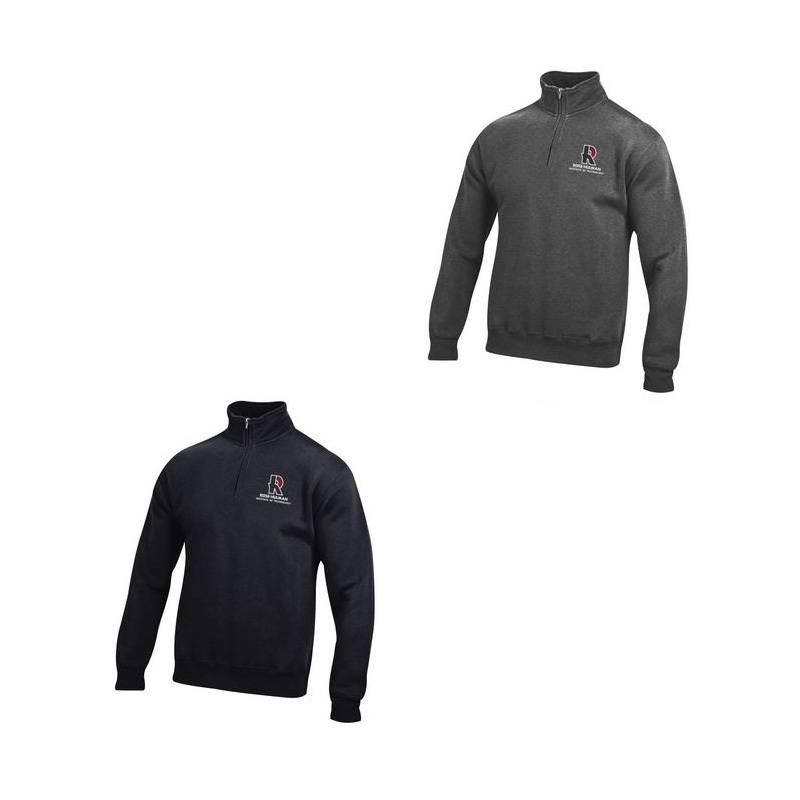 Please select option for Gear 1/4 Zip Sweatshirt. MV Sport 1/4 Zip Sweatshirt. Patched "R" logo over "Rose-Hulman" over "Institute of Technology". 55% Cotton, 45% Polyester. Patched "Engineers" on side of left arm. Please select option for MV Sport 1/4 Zip Sweatshirt. Under Armour Heat Gear loose-fit 1/4 zip available in cardinal or black. Embroidered "R" on left chest. 57% cotton / 38% polyester / 5% elastane. Please select option for Under Armour Heat Gear 1/4 Zip. Clearance - Original Price $39.99 - While Supplies Last -100% polyester. Lightweight and very breathable material. Embroidered "Rose-Hulman" over "Institute of Technology" on left chest. Please select option for Vantage Ladies 1/4 Zip.